The CURL command can be used to identify the certificate that the server presents to the client. If a certificate is being presented, basic information about the certificate should be displayed. If you get NSS error 12286 when attempting to connect to a site, try updating curl and nss. Curl writes output to stderr, not stdout, you'll need to use 2>&1 if you want to pipe the output to grep. Issues can cause cURL to hang sometimes. To prevent cURL from hanging for to long, you can use the -m or ---max-time option followed by the number of seconds that cURL should hold tight before closing the connection to the remove server. In this second, cURL will timeout after 10 seconds. If the -k or --insecure option are not used, cURL will only get certificates that have been issued by a trusted certificate authority (CA). If you want to get certificates from both a trusted and untrusted certificate authority, use the -k or --insecure option. Let's say there is a certificate chain, like this. cURL will only get the server certificate. 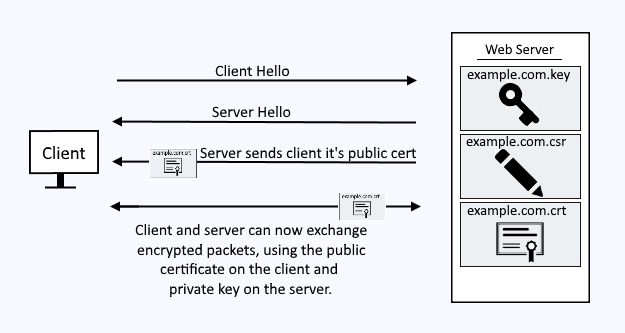 If you need to determine each certificate used in the certificate chain, you are much better off using openSSL.